November 10, 2015 Alicia P.
Last week I was given the opportunity to participate in Albuquerque's Perfect Wedding guide Diamond Dash show! While I was excited to get this invitation, I was hesitant because the show was that coming weekend (Sunday) and I felt like I had no time to plan..... However, there was no way I was turning down such an awesome opportunity! Fast forward 5 days later, I shared a quick iPhone snap of my booth and instantly the questions, messages and emails poured in! They came from photographers and wedding vendors all over the world -- such gracious compliments, questions as to how we did it and requests on the vendors that helped me create my booth! So we decided to put a blog together about our experience and share with you, 3 tips on how to pull off a successful and eye catching booth in just 5 days!! Now i'm no wedding designer or decorator and given the timeline, I didn't have the budget to hire one for my booth, so I started the "old fashioned way". I pulled inspiration from Pinterest and created a mood board with ideas and art that spoke to me. I also sketched out what I wanted our backdrop and booth to look like, all while keeping my target bride & her wedding in mind --- so, a shabby chic layout and whimsy floral arrangements were a must. I also knew that I wanted to incorporate some sort of wood background, so I scoured Pinterest and was so excited to come across this post. It was such a helpful guide and the best way to start the overall direction of my booth (thanks Amanda) and my amazing, supportive husband just rocked it out (he's the best, thanks babe)! Day one we purchased all the supplies at our local home depot (about $100), we assembled on day two, and by day three we painted and distressed the wood. Seriously so easy, affordable and incredibly easy to assemble/store/move! A glass of wine was a must. I suppose I have a bit of an advantage with this one as I have already invested in cozy furnishings for my studio, but I still felt like I had to add details that represented me and my personal style. So, I highlighted my love for mixed metals by adding gold decor and copper signage as well as some scented candles (Anthropologie has the best ones). I'm also ridiculously obsessed with music, so I put together a modern yet romantic playlist (think Sleeping At Last meets Ellie Goulding meets the best SoundCloud covers ever) playing in the background! Lastly, I reached out to local vendors who were interested/ available to contribute their talents while still highlighting my brand. Floriography made a romantic garland and whimsy floral arrangement, Genesis Signs created an epic laser cut version of my sign, Ashley Hamilton Lettering did the sweetest chalkboard sign and 11x14 gold love quote, we passed out the most delicious gold brushed french macarons by NM Pie Company, and Wild + Free Calligraphy knocked it out of the park with the most beautiful copper signs! I ordered some new mounted prints via my pro lab Miller's (Free overnight shipping -- wut wut!) and Julie Haider updated my marketing materials (her speediness was out of this world and I had the digital files that Monday afternoon to send to overnightprints.com -- they got here Friday)! 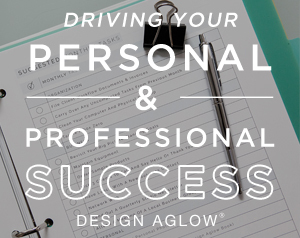 Design Aglow was KEY in making sure I had the best of the best physical sample products (think gold glass usb drive, beautiful handcrafted albums, etc.) Brides LOVE being able to hold and feel tangible products. "Be You. Everyone loves you. Not the version you think you have to be" -- Karie Denny (wedding photographer extraordinaire) said this at a branding workshop I recently attended, and it really stuck with me. I chatted weddings, Adam Levine, and photography trends with so many incredible brides over wine, great music, and yummy smells... I was me, and I was happy! I encourage you to not be afraid to be your true self and make an honest effort into creating a great "booth" experience that will hopefully lead to your dream bride!